Thank you, everyone, who has supported The Jeffersonian with your interest and readership, comments, and correspondence. I don’t often write about happy subjects, though I resolve at times to walk more lightly. Serious subjects usually need serious treatment, and I’m not a satirist by temperament. I did do a long, non-satirical piece called Jack Kennedy’s untold story that is lighter in tone. I posted it over at Conversations with Dio partly because of its length, and partly because it is political fiction. I like to keep the political material in The Jeffersonian on the non-fiction side. Satisfying news for 2014 is that The Jeffersonian passed 20,000 total views before the holidays, a milestone that motivated me not only to write more, but to curate the material here as well as I can. Your readership creates the energy required. The site contains almost four hundred articles now. Moreover, the report below indicates interest in current as well as past posts. So thank you for your loyalty! Leave a short comment when you feel the impulse to do so. Like any writer, I like to hear back. If you want to correspond outside of the comments section, write to sgreffenius@gmail.com. And of course, please share posts you like with others in your social networks. Some of the people who follow you share your interests in civil liberties, our current political troubles, and our republic’s future. A few years ago, I printed a New Year’s card with Van Gogh’s Starry Night on the front. People like this painting for different reasons. I like it for the hope it contains, and of course for a sense of movement we don’t usually associate with a dark, silent night. This image suggests we are not small, insignificant beings floating in a corner of the universe. 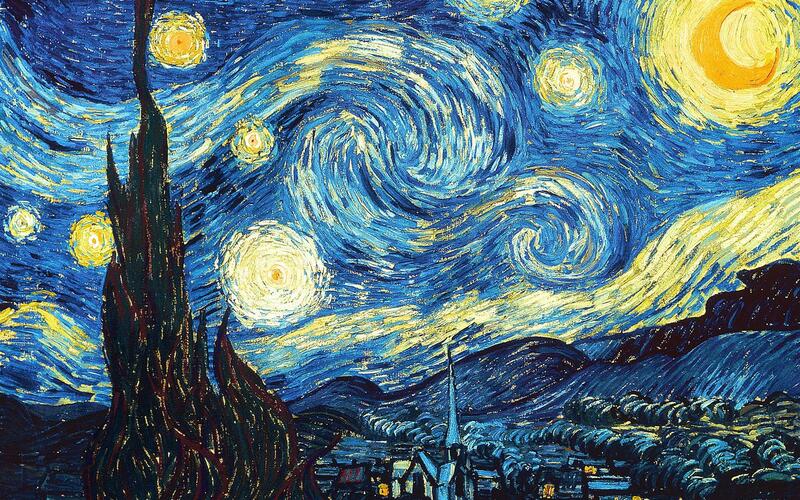 Our thoughts resonate and fill the heavens, as do those huge stars in Van Gogh’s sky.